View your world exactly how you want to! 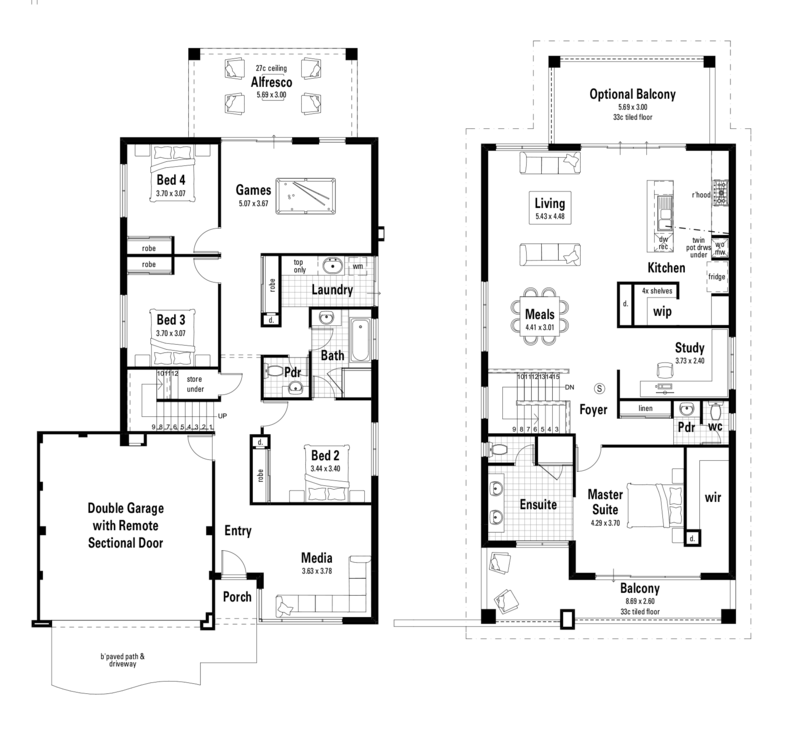 Our stunning Vue de Monde home design has four different variations. From rear living to upstairs kitchens, there is a design to suit every lifestyle. 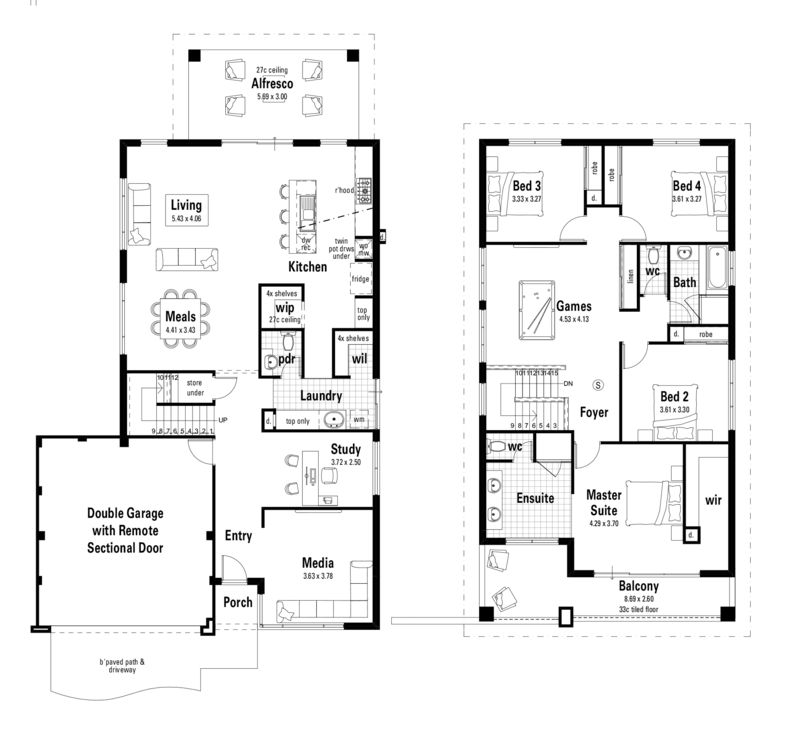 With each design comprising of four large bedrooms and two spacious bathrooms, the differences lie in the individual features of media rooms, study spaces, and the incredible blend of kitchen, meals and living spaces. Discover the finer details below. The Vue de Monde I sets a rather traditional scene with the ground level including your open plan living, meals and kitchen at the rear of the home. While the stunning master and adjoining ensuite are positioned at the front. Making your way up the stairs you will find yourself in the middle of the top floor, with the three secondary bedrooms positioned at the middle and front of the home. At the very front, your private media room opens out onto a lovely balcony. The absolute winner of this plan is the large open games room at the rear of the secondary bedrooms, making the most of your views. The bottom floor comprises of your living spaces in the Vue de Monde II. With the open plan living, meals and kitchen at the rear, and a private media room positioned at the front of the home. You can hide away and watch the latest blockbusters. With an additional open study nook, for all the organisation one could ask for, just a few steps further down the entry! The top floor contains all the bedrooms, with your immaculate master and huge ensuite positioned at the front of the home, opening out onto a full-length balcony. While an open games room is positioned at the centre of the three secondary bedrooms. We flip the script on its head now, as we take our open plan living, meals and kitchen and place it on the top floor of the home! The incredible open area breathes fresh light in from your full-length balcony. At the rear of the top floor is the master suite, complete with a resort-inspired ensuite and huge walk-in robe of your dreams. Downstairs, we will find the three remaining bedrooms nestled from the centre through to the back. At the very rear of the home is an open games room, flowing through to your alfresco space. While at the front you will find your traditional Media room waiting for you. Sticking with upside-down, your large open plan living, meals and kitchen are on the top floor of the home, this time at the rear. With the opportunity for a sensational balcony! 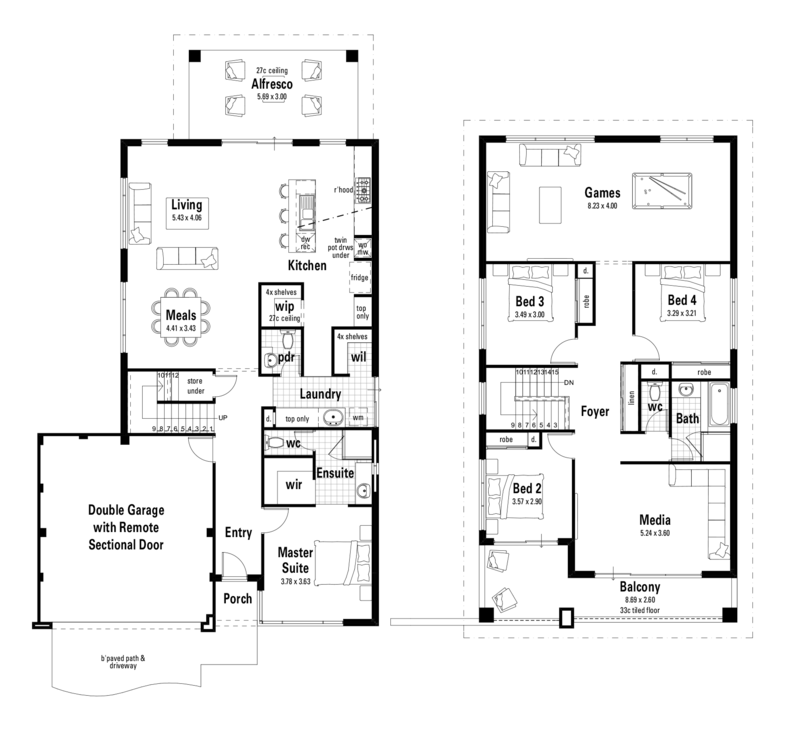 Your master suite is now positioned towards the front of the home, with a stunning ensuite. Both rooms opening onto a beautiful balcony. Your study nook is nestled in the middle of the two areas at the landing. 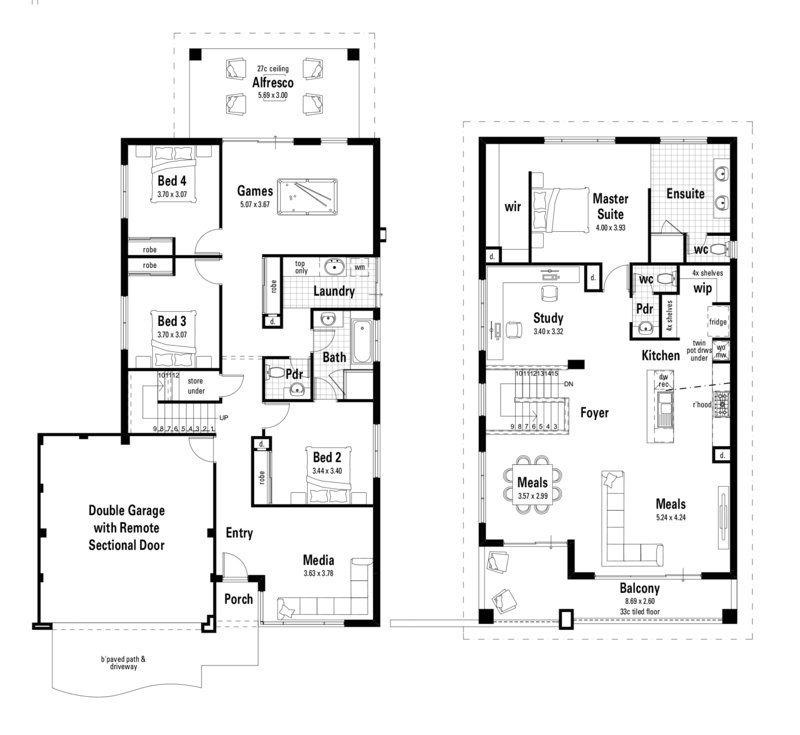 As we go down to the ground floor, we will find a plan much like before, with your secondary bedrooms centred around an open games room at the rear of the home. While your secluded media space at the front.